2002. By Cloe Chunn. 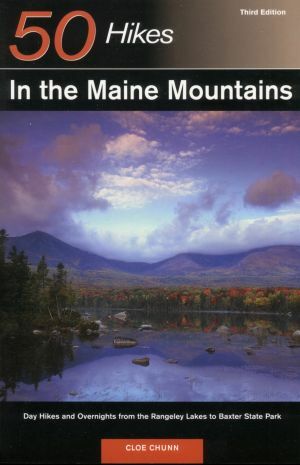 Third edition of this bestselling hiking guide to Maine's mountain country. Hikes described range from an easy two-mile ramble to an arduous five-day bacpacking adventure. Areas covered include Baxter State Park and Katahdin, the Rangeley Lakes region, and the Mount Blue-Tumbledown area. Softcover. 242 pp.